My friend Laurie Ruettimann and I got together a few months ago and talked about the state of the job market. Many people are struggling. Struggling to find jobs, to keep jobs, to find their way out from dead end jobs, and struggling on how to advance their careers in a climate where salaries are flat and opportunities are scarce. This discussion got us thinking about what we can we do to help. We've both been in HR for our entire careers. We've been exposed to almost every HR scenario you can imagine: hiring, firing, promoting, training, developing - you name it. We both have a lot of smart friends in our industry with great expertise in job search and career development. We know recruiters at many top employers throughout the U.S. We have friends who are accomplished professionals in a variety of fields. We realized we could leverage those contacts, knowledge and expertise to to help people manage and develop their careers, and we could do it through Career Hangout (CHO). Career Hangout is a weekly broadcast airing Tuesdays at 11am ET. 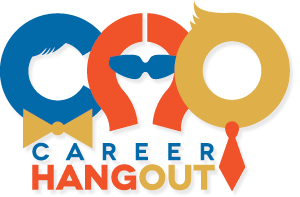 It will be hosted on Google Hangouts On Air and broadcast live each week on CareerHangout.com (we'll also record and archive each episode so they can be viewed at any time on the website. The show will be interactive, so we'll take questions for the guests or hosts during each broadcast through Twitter and the #cho hashtag. We will also solicit feedback and input on shows, topics, guests, and contributors on CareerHangout.com; so if you have some insights or suggestions you'd like to share let me or Laurie know. We are looking forward to our inaugural Career Hangout broadcast next Tuesday! Please spread the word and promote our new project to your network. We appreciate it! InnovationLars Schmidt September 4, 2012 #truHelsinki, accelerating pace of innovation, Bill Boorman, Business, Fast Company, Generation Y, Helsinki, Human resources, Innovation, social media, technology, What are trends in recruiting?, What is innovation?